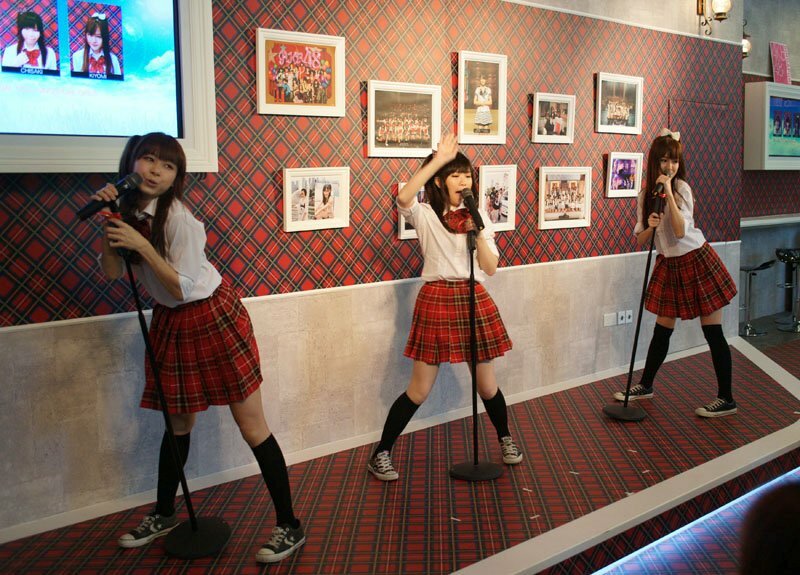 After it's initial soft launch, the AKB48 Cafe at *SCAPE has seen many fans and diners through its doorways to soak up the AKB48 themed ambience and enjoy its good food. Even with it's initial small menu offering, customers to the cafe were not disappointed with the quality of the food and the cheerful staff. It was only a matter of time the cafe would go into full swing and on the 19th of July 2011, the cafe officially launched with a full menu of over 50 items. 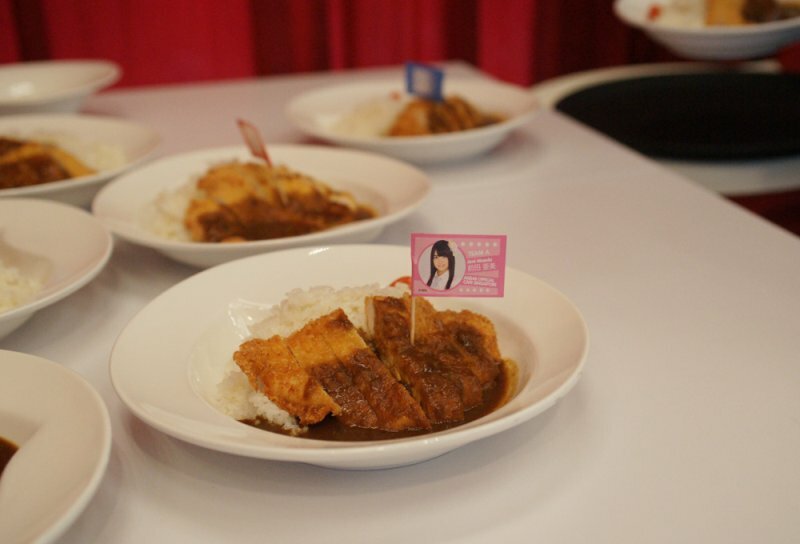 These includes Japanese school bento sets, Sandwiches, chicken sautee and a la carte items such as tori karaage. And as a bonus to diners at the cafe, a one day only summer holiday special activity was planned with 2 AKB48 members, Ami Maeda and Maria Abe flying in. 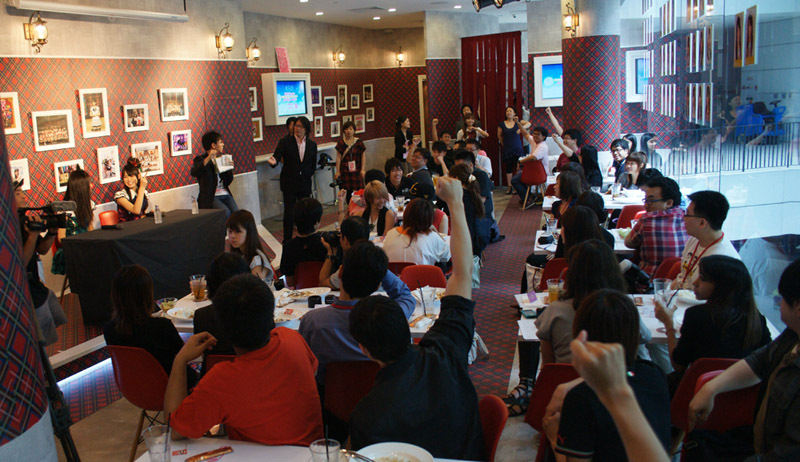 The session started off with 2 dance performances by the lovely waitress from the AKB48 cafe to the popular hits from AKB48. Definitely a good move as it adds to the ambience of the themed cafe and the fans definitely love it from the volume of cheers heard. As part of the special summer activity, each diner was given a card to write a question they would like to ask the two ladies with the Q&A session was up next, done in a lucky draw style to see which questioned gets asked. Through the Q&A session, we found out that Ami Maeda listens to Lady Gaga, has visited Singapore 5 times and would bring her DVDs to watch while she is traveling on the plane. For Maria Abe, she loves how there are many photos at the cafe as it brings back memories and hopes to be a successful model one day. A special "scissors paper stone" game with the prize of an autographed cd was held with everyone after the Q&A session and sadly it was evident that our POPCulture Online representative needs more training after being knocked out in the first round. To round up the session, everyone got to shake hands with the two lovely ladies which I am sure brightened up everyone's Tuesday. Photo Credits ©AKS/AKB48 Singapore, Article ©POPCulture Online, All rights Reserved.